Israel – Biological pest control and pollination, nursery technology and tomato cultivars. Italy – Tomato cultivars and seed. The Netherlands – Tomato seed and packaging material. Mexico – Net house technology, as well as tomato production expertise and practice. Spain – Netting material for net houses, tomato cultivars and seed. USA – Avocado ripening technology and specialist avocado cultivars; soil health testing with the soil health team at Cornell University. ZZ2 is involved in various ways with the Universities of Limpopo, Stellenbosch, Pretoria, Free State and Kwazulu-Natal. Furthermore, we have ties internationally with UCLA and Cornell University. Annually we take part in career exhibitions of the Produce Marketing Association (PMA) at the Universities of Stellenbosch, Pretoria and KwaZulu-Natal. ZZ2 owns shares in companies with which we collaborate. In this way we can grow together with selected businesses sharing our philosophy and values, without losing focus of our core business, primary agriculture. Together with business partners, ZZ2 is involved in a date farming project on the banks of the Orange River in Namibia’s s Karas province. This is semi-dessert with an average annual rainfall of 25mm. The first dates (X!aras Medjool Dates) were sold on the local market in 2014. ZZ2 is involved in a number of BEE initiatives, including communal BEE farming activities, controlled atmospheric storage, local fresh produce markets, conservation partnerships and stud farming. ZZ2 sees BEE initiatives as a duty, a privilege and a more meaningful alternative. ZZ2, together with the Makgato Community Property Association, are partners in the Munnik Conservancy. We are also involved in the Diphiring Conservancy with the PHEEA Community Property Association consisting of about 450 families. Histil SA is an international, commercial seedling nursery. Hishtil SA offers international experience and world-class technology to farming enterprises in South Africa. The first phase of Hishtil SA started in Mooketsi in 2007. The second nursery was opened in Riebeek-Wes in the Western Cape in 2014. For more information, visit their website at www.hishtilsa.com. RMMS is a joint venture between FGX, RSA Market Agents and ZZ2, managing two fresh produce markets in Mooketsi and Polokwane/Rietpol. These markets operate similarly to National Fresh Produce Markets and therefore include an ad valorem commission market agency. Although the majority of buyers are informal traders, the markets also serve larger retailers. For more information, visit www.rmms.co.za. Since 2002 ZZ2 has been a pioneer in large-scale sustainable production of tomatoes and onions in South Africa. In order to measure progress in these unchartered waters, an applicable measuring instrument needed to be created. ZZ2 Laboratories is the culmination of that need. ZZ2 continuously exposes its in-house experts to international expertise covering a variety of disciplines. The consequence of this is continuous development and growth of the analytical skills of ZZ2 Laboratories. Die FGX trading platform uses the latest technology to enable producers, service providers and buyers of fresh produce to communicate and trade via the internet. FGX is a virtual trading platform aimed at facilitating the transacting of fresh produce. FGX acts as a market authority at RMMS regional markets. For more information, visit www.fgxplatform.co.za. 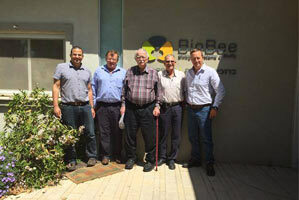 BioBee (Israel) is an international supplier of biological pest and plague control products and services. BioBee SA was established early in 2015 with ZZ2 and Hishtil SA as shareholders. 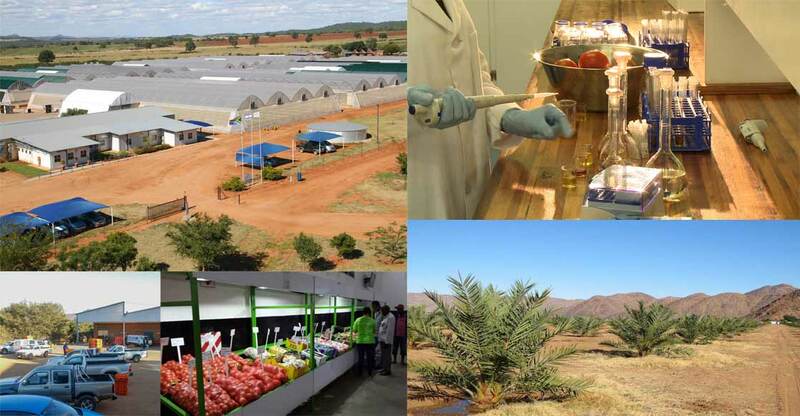 ZZ2’s interest in BioBee SA and the success of the company in South Africa stems from the strategic value that the partnership holds for vegetable production in protected structures, in particular. Plant protection is one of the components of Natuurboerdery® that has not been developed optimally; ZZ2’s role in this venture is helping to develop its role as strategic provider of biological pest control, focussing in particular on the development and registration of biological pollinators like bumble bees for South Africa conditions.